For those who follow my Instagram stories, you may have seen that last week I celebrated my birthday! To help get me around on my fun-filled weekend, I had a 2018 Mitsubishi Outlander Sport to drive! To begin my birthday weekend, I got dressed up and went behind the wheel of the Mitsubihsi for the first time! Just pulling out of my driveway I could feel what a nice, smooth ride the Mitsu was! I drove up to my first birthday destination; a friend’s house who threw a surprise tea party for me! All I knew was that I should dress for tea, and even in dressy shoes and a dress I still felt relaxed and comfortable driving the Mitsubishi Outlander Sport! It definitely got my weekend started off on a happy note! After the tea party, I headed down to Orange County with my husband, to spend the night in the Disneyland hotel area to have two days at the happiest place on earth! 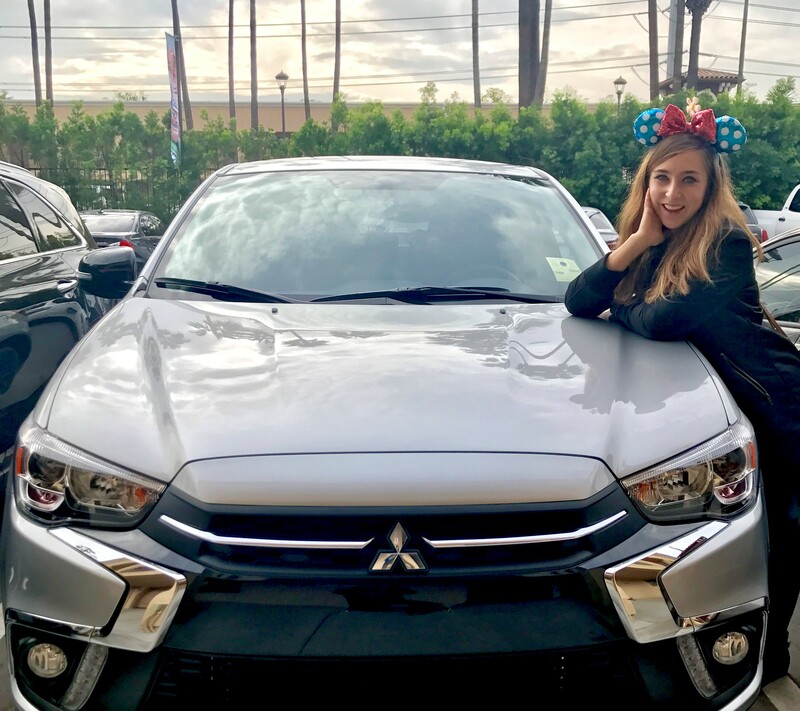 I normally dread the weekday afternoon traffic from Los Angeles to Orange County, but with the amazing sound quality in the car, the comfortable seats and smooth drive, the stop-and-go traffic didn’t seem bothersome from the comfort of the Mitsubishi. Once I drove to Disneyland, I had a fun-filled birthday weekend with my husband! After a weekend of fun, I was ready for some rest and relaxation, and explored new parks and shopping areas in the Mitsubishi Outlander Sport! That California scenery of mountains and palm trees looks pretty nicely paired with a Mitsu! To learn more about the Mistubishi Outlander Sport, visit their site here.